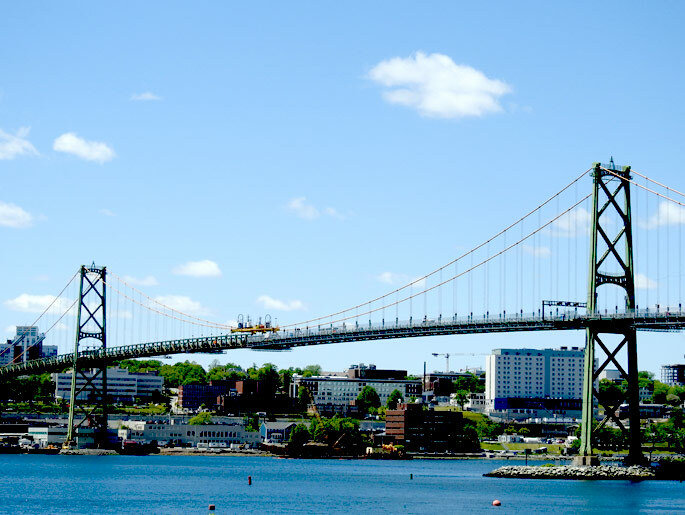 The Angus L. Macdonald (ALM) Bridge is a 760 m long suspension bridge spanning over the Halifax Harbour. The existing deck and stiffening truss of the bridge is nearing the end of its service life and is in need of replacement. The project consists of the design of the new suspended deck and stiffening truss as well as the analysis of the bridge during erection and the design of the main erection equipment. The deck replacement approach is unique as it allows the bridge to remain open during the day time throughout the course of construction. This is achieved by replacing the deck in segments during overnight and some weekend closures. The existing deck and stiffening truss segment is cut and lowered to a barge using strand jacks on an erection gantry which is supported by the existing hangers. The new deck section is then lifted from the barge and spliced to the previously installed new segment. A temporary connection nose joins the new deck segment with the existing deck. This process is repeated across the entire bridge. 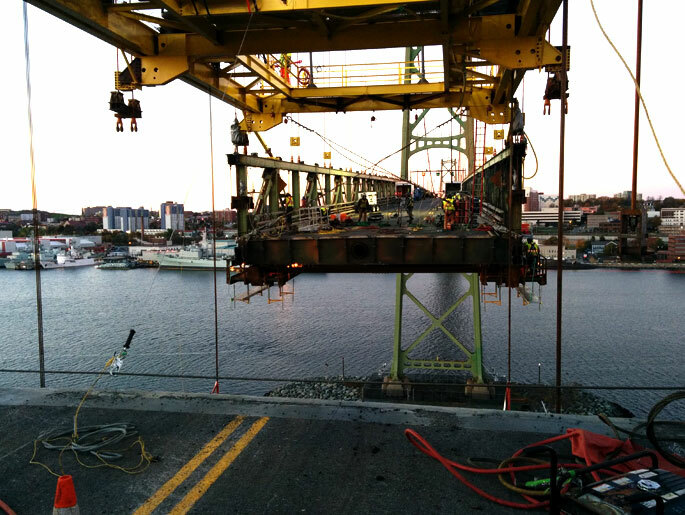 This particular erection technique has successfully been employed to replace the deck and stiffening truss on the Lions Gate Bridge. 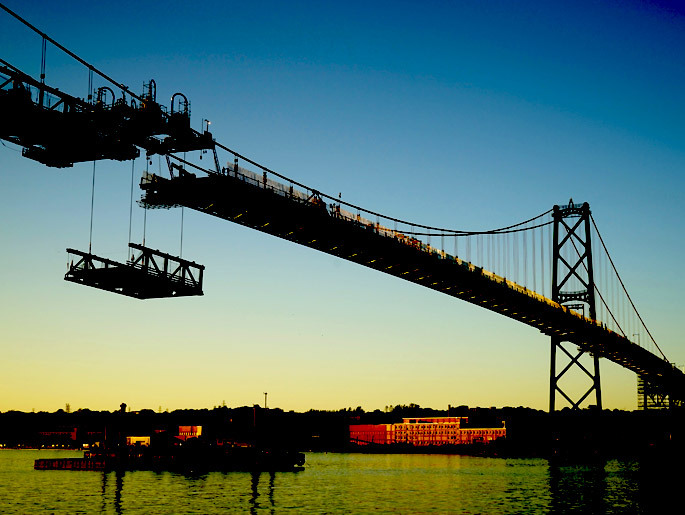 Harbourside Engineering Consultants has 4 engineers embedded in the design team for this project. HEC engineers have been involved in both the analysis and the design of the bridge. 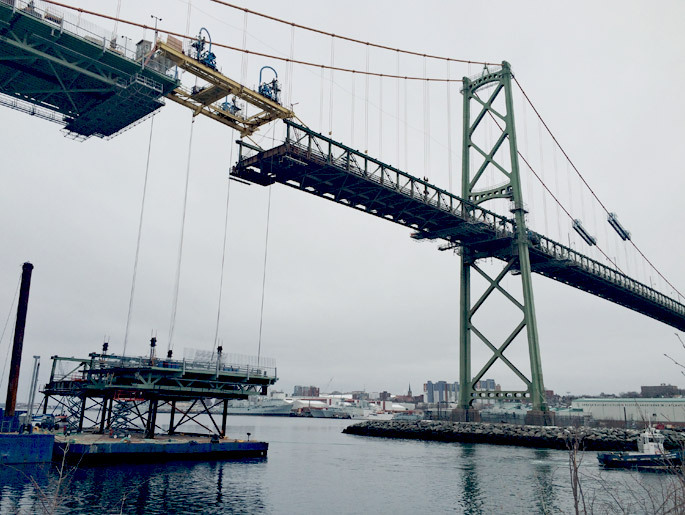 In particular, HEC engineers have been involved with the design of the deck and stiffening truss, the erection gantries, the temporary deck connection nose, and performed analysis of the bridge during erection.